Due to the fact that our business Headquarters are in Canada, there are a fair number of Canadians in our Scottish Office. 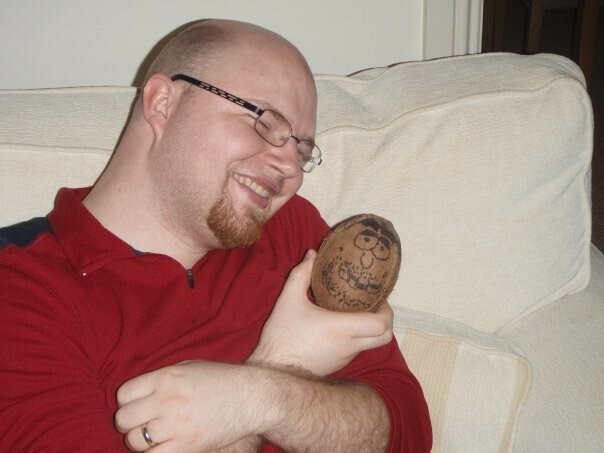 One Friday evening, the Canadians decided that they were going to have a night of Nintendo Wii fun round at the company flat, and I was invited to come along. Initially, I thought that this would be a great idea, so I said that I would come along. However, later that night, my plans changed, and I wasn't able to come along, so I text them to let them know that I wouldn't be attending. 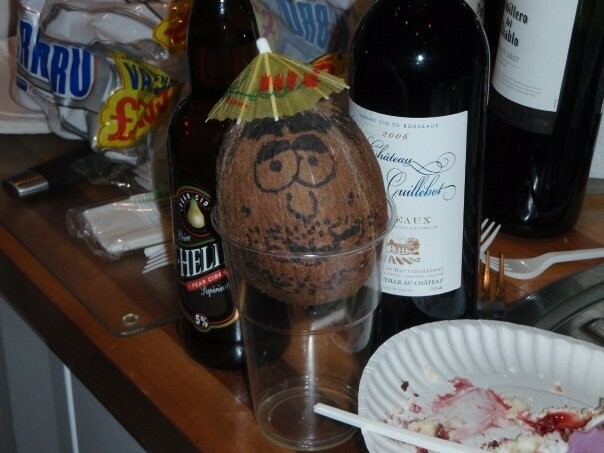 Turns out, that rather than be without a Gary at the party, the Canadians thought it would be a good idea to replace a Scottish Gary with someone else, and so Gary The Coconut was born.